In many cases, the chewing surface of teeth can have tiny groves, also known as fissures. Tooth decay easily starts from these fissures when food gets stuck and becomes difficult to clean. These areas are too hard for the bristles of toothbrushes to get in to clean effectively. In the long run, your teeth become extremely affected and a miniature hollow area is formed. The bacteria turns the food particles into acids that attack the tooth enamel. To effectively curb this menace, you will need to visit a Tigard dentist in order to get sealants. What is a sealant and how does it work? This is a tinny, plastic covering that is normally applied to the chewing surface of teeth. This can either be molars, premolars and any deep indentations (known as pits and fissures) of the teeth. It is estimated that over 75% of most dental decay starts in these deep indentations. A sealant shields the tooth by sealing deep grooves. At the same time, it creates a smooth and easy to clean surface. Sealants protect your teeth for many years. However, they need to be checked constantly for wear and chipping. All these makes the affected tooth easier to clean and minimizes the chances of food getting stuck. The main aim is to prevent tooth decay. A Tigard dentist will ensure that all this is perfectly done. Children are likely to be affected by dental decay due to brushing or flossing less consistently or using techniques that are not effective. Moreover, if you have a history of tooth decay (caries), a Tigard dentist would recommend sealants. Some children will also be likely to have deeper pits and fissures. Having braces also makes teeth cleaning more challenging. Due to the higher risk of tooth decay, the use of sealants is more in children. Many parent may be tempted to ask, ‘‘Are sealants safe?’’ Yes! The material used in sealants is completely safe and the many clinical studies carried out have proved that they are indeed safe. Dental sealants can last for more than 5 years or more. However, their longevity simply depends on how much load they can bear during chewing, as well as the quality of materials used and how well the sealants was placed in the first place. 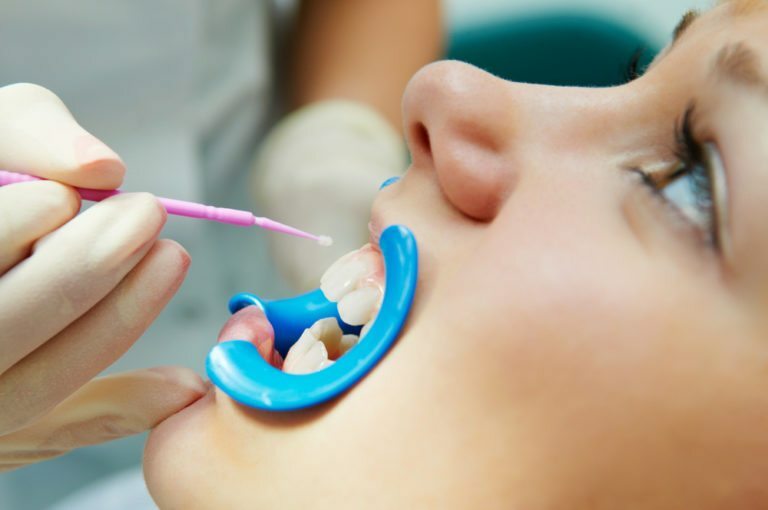 At our dental service, we value our services and therefore a dentist in Tigard will ensure you get the best experience with your sealants. We pay close attention to these details. Pits and fissures are definitely hard to keep clean and that is why a Tigard dentist would recommend dental sealants. Sealants have been used safely and effectively over the last 2 decades. They benefit children and adults likewise. Tooth decay affects mostly children and teenagers and therefore sealants may be very important to them. Adults can also benefits from them because one simply never outgrows cavities. Sealants therefore protect areas that are vulnerable like pits and fissures. They seal out food and plaque completely. The procedure is easy and fast with a little discomfort. The teeth that are to be sealed are thoroughly cleaned and conditioned. A Tigard dentist then applies a sealant where it bonds with the enamel. A special curing light may also be used to assist with the hardening of the sealant. Contact a dentist at in Tigard today to have your smile fixed!